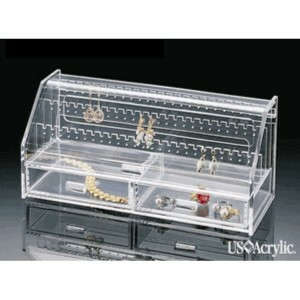 This attractive, clear acrylic jewelry chest is the perfect place to keep your earrings, necklaces, or other jewelry. 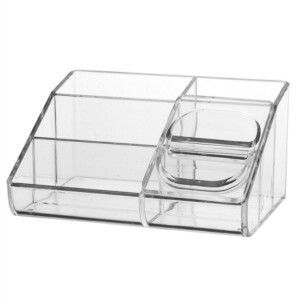 Looks great on any countertop. Simply elegant. 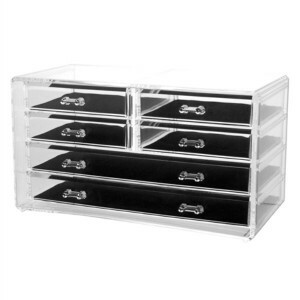 This deluxe jewelry chest provides ample storage space for your necklaces, bracelets, watches, earrings, etc. 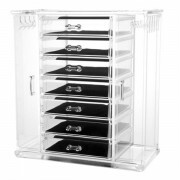 Will look great on any countertop, and is completely enclosed to keep your valuable jewelry dust-free. 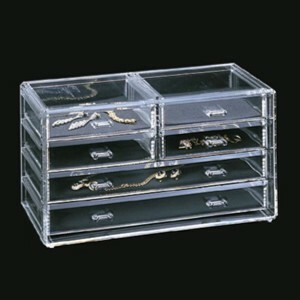 The clear sturdy acrylic construction allows you to easily see what you have. 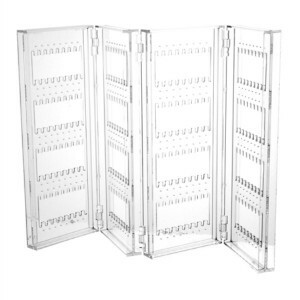 This beautiful folding earring screen provides lots of room for your growing collection of earrings. 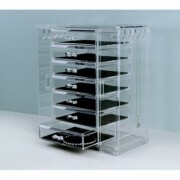 Made from clear acrylic, it features a wide base that allows you to use it on a countertop without tipping over. 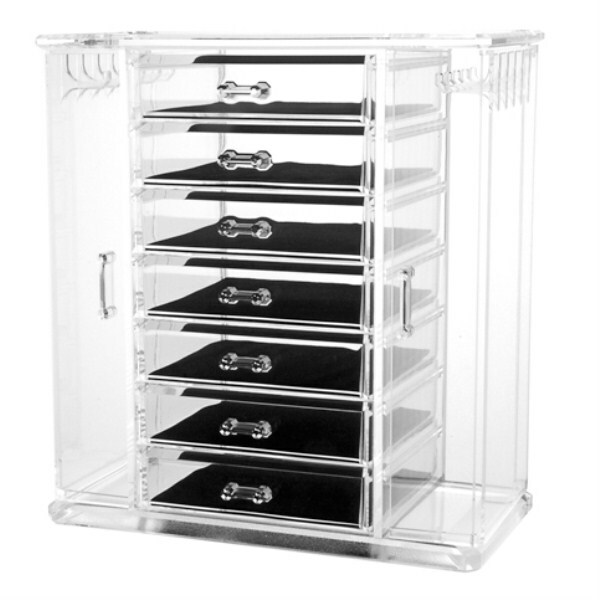 Keep your cosmetics organized and easily accessible in this clear cosmetic organizer. 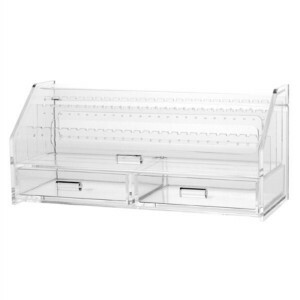 Keep in a cabinet or out on a countertop. 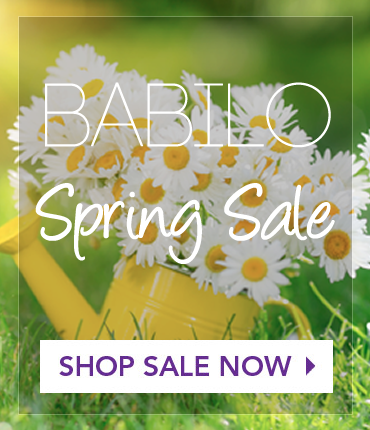 Looks great in any decor! 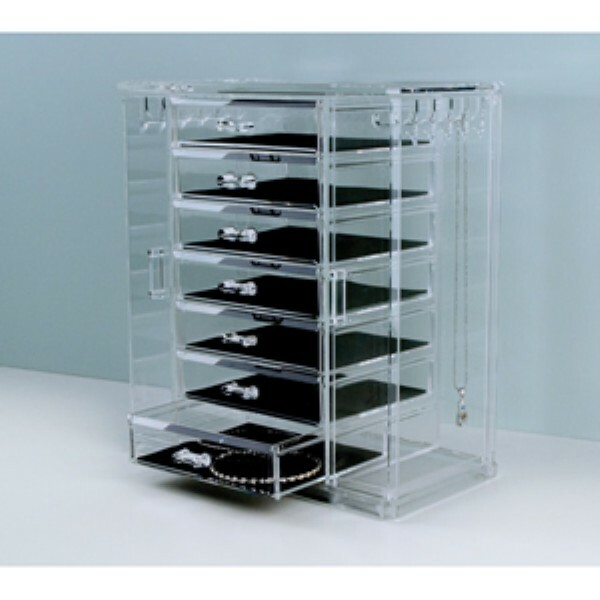 This expandable acrylic organizer quickly and easily organizes most any drawer space. 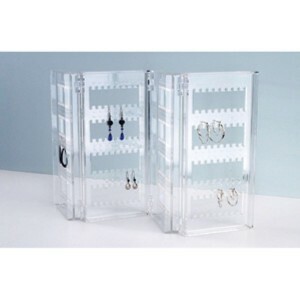 This clear acrylic earring keeper allows you to keep up to 37 pairs of your favourite earrings easily accessible. 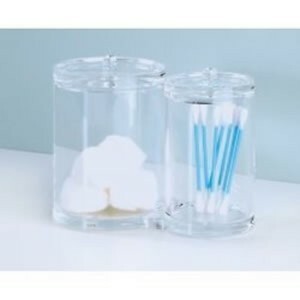 This attractive double container features a larger container for holding cotton balls and a smaller one for Q-Tips. 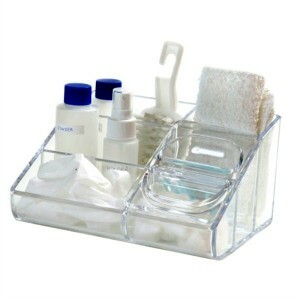 Keep these bathroom necessities neatly organized and within reach. 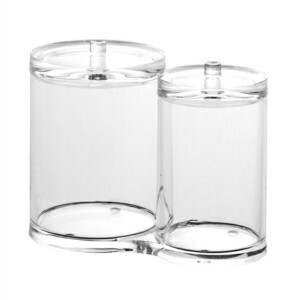 Clear lids keep dirt and moisture away.